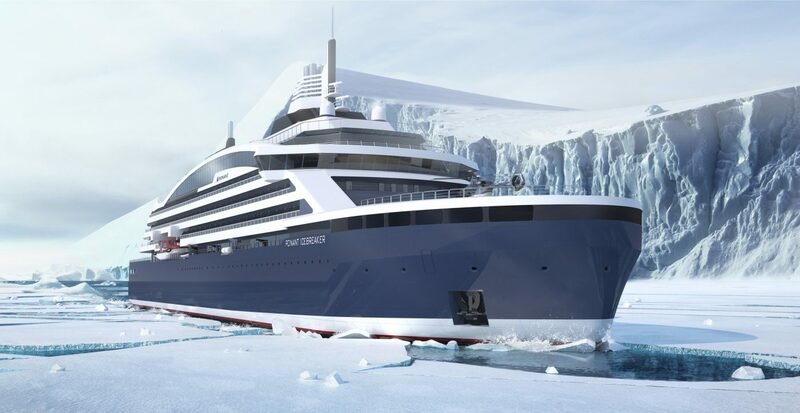 Luxury French cruise line PONANT, which specialises in adventure and expedition cruises, has ordered another cruising first. 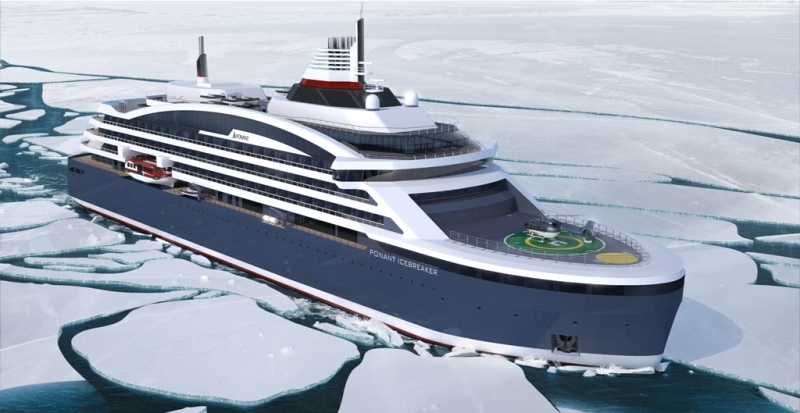 Following on from its ground-breaking Blue Eye lounge, it has announced it is to build the first electric hybrid icebreaker propelled by Liquefied Natural Gas. 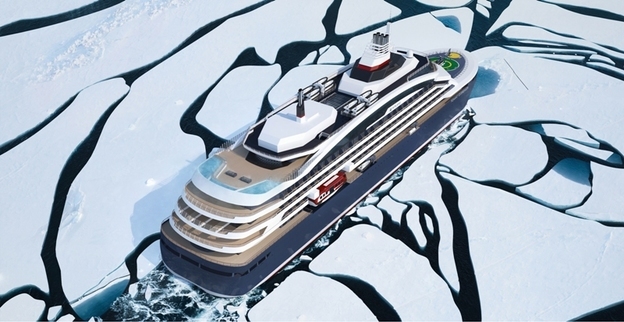 The new ship, PONANT Icebreaker, is scheduled to be delivered by 2021 and will be given the task of visiting some of the most remote destinations in the Polar landscape. Ports of call currently suggested are the true geographic North Pole (90 degrees North Latitude), the Weddell Sea, the Ross Sea and Peter I Island. 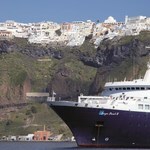 To achieve this cruising breakthrough, PONANT is working with a number of world-class partners. Wärtsilä for the Dual Fuel diesel engines. 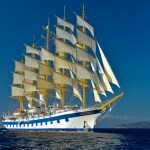 The ship design was created in joint co-operation by Stirling Design International and Aker Arctic. With just 135 staterooms coupled with PONANT’s legendary service levels, PONANT Icebreaker will be Clean Ship certified and environmentally friendly.